Discussion in 'Refrigerators and Coolers' started by JWaid, Apr 11, 2019. Hi all! I just got a new to me 1995 Starcraft Stardust 1021. This is our first camper experience. For whatever reason we can not figure out this fridge. The Previous owner says that it worked fine, but you never know. We are CLUELESS about what to try ect. Please let me know any tips you may have. I would like to use it just off electric when hooked up, I do not plan on ever camping anywhere without electric hookup. Also, dont really need it to work when driving ect. I jsut want a basic, plug it in while camping and it keep things cool type deal. Should be easy... right?!?! Hi all! I just got a new to me 1995 Starcraft Stardust 1021. This is our first camper experience. For whatever reason we can not figure out this fridge. You most likely have a 3-way gas absorption manual light fridge that will run on propane gas, 12 vdc while towing, or 120 vac while camping on an electric site. This is not a compressor fridge and will take considerable time to cool down adequately, as much as 24 hrs, so don't think you can just power it up when you set up and it'll be ready to use not long after. 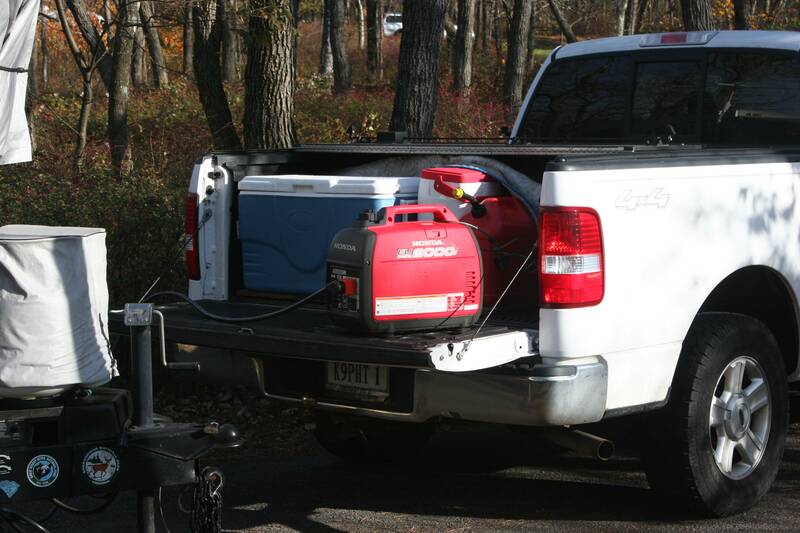 Most will precool the fridge before starting out on their trip, then run it either on 12 vdc or gas while towing. If you can't find the fridge's make and model, post a photo of the control panel, and I'm sure someone here has some experience with it. I have had one for awhile no and love it. Mine makes about 21 lbs of ice a day, and I usually give ice away before leaving the CG. (hate to throw good ice away I had a smaller one but when it gave up the ghost, I got the larger one and am really happy with it.